It’s amazing how often we (black) girls transform our looks. 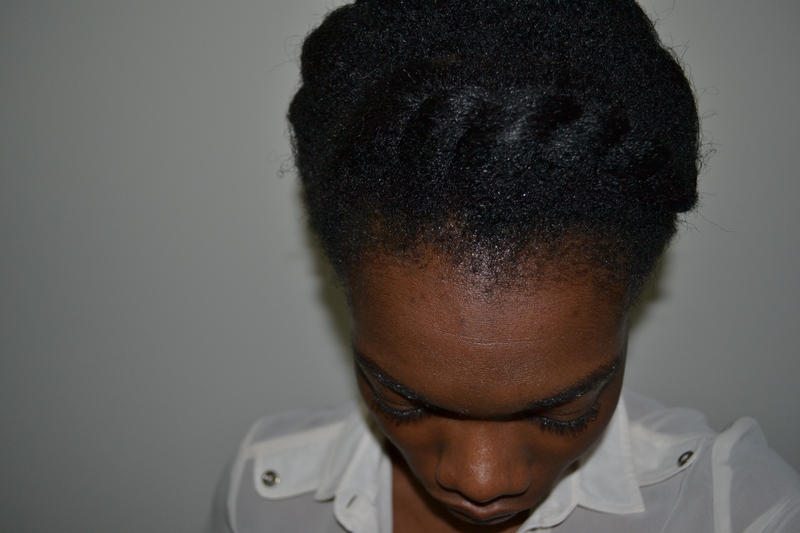 Today you could have a long, Brazilian wavy weave; tomorrow, box braids and the day after a full grown afro. You may remember from my post, The Come Back: Old School, that I Co Washed my hair for the first time. 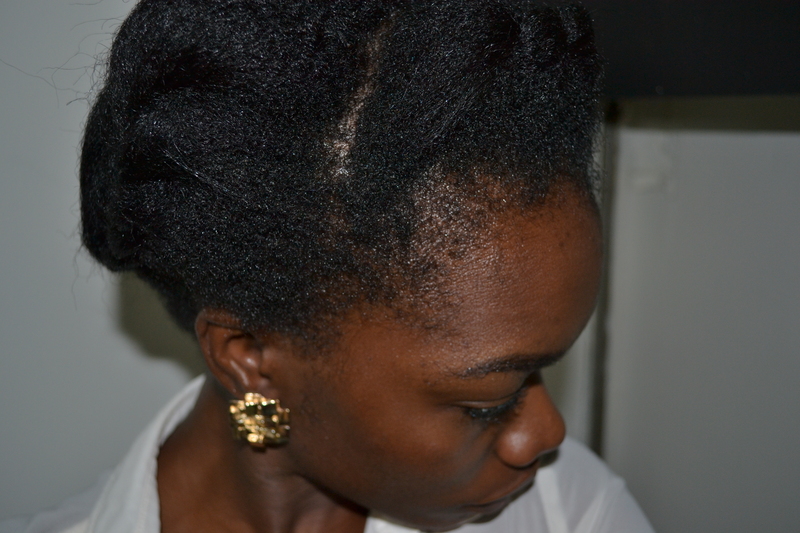 This was the first stage of my transition, seeing as I’ve decided to go Natural, without braving the Big Chop (BC). Ps: I just realised I haven’t blogged about NYSC camp! Need to rectify that as soon as I can. 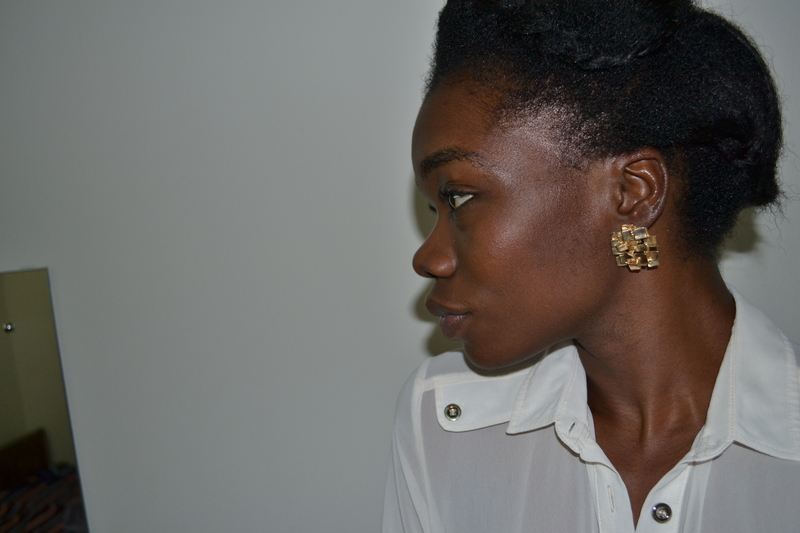 Love the way you wore your hair here….looks like the natural look will be a good one for you! I’m too chicken to do it. I’ve already permed my hair once this year. *Sigh*. Oh, and the shirt looks lovely too!